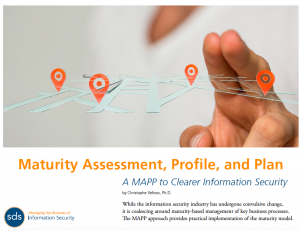 This white paper by Christophe Veltsos, Ph.D., describes why and how to implement a maturity-based information security management program. Best-in-class automation platform such as TrustMAPP helps Information Security Leaders maximize their time and resources, while improving security process maturity. Make your MAPP. Return this form and we’ll be happy to email your MAPP Guide.